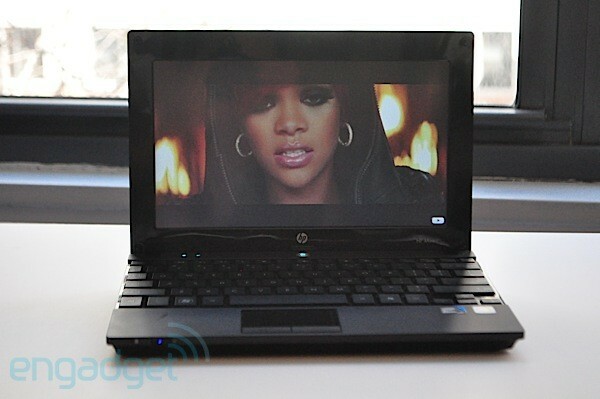 We realize keeping up with HP's model numbers can be as hard as keeping tabs on say, Lindsay Lohan's run-ins with the law, but the 5103 is notable in one major way -- it's one of the first netbooks to ship with Intel's dual-core Atom N550 processor. Like the 5102, the 5103 is still primarily aimed at business professionals. 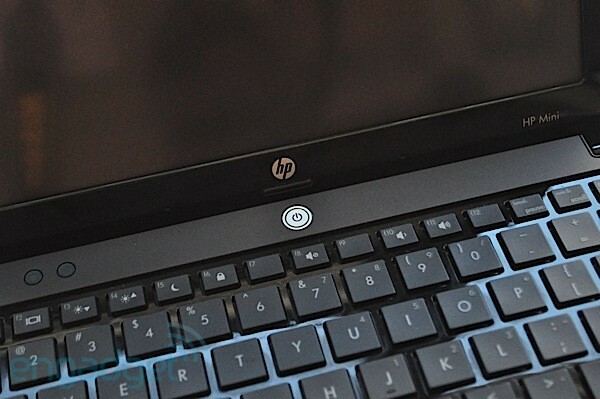 In fact, HP hardly messed with the look and feel of the aluminum dressed laptop -- the chassis and features are pretty much the exact same, although HP did ditch the black lid for an "Espresso" color and preload some new "Day Starter" instant-on OS. Obviously, the big deal here is the new processor and seeing as how we've been waiting on Intel to release a dual-core Atom CPU for netbooks since well, the first netbook we were eager to see how much power that extra core adds and if it impacts battery life. Hit the break to see some of the results. Be the first to review the Mini 5103? 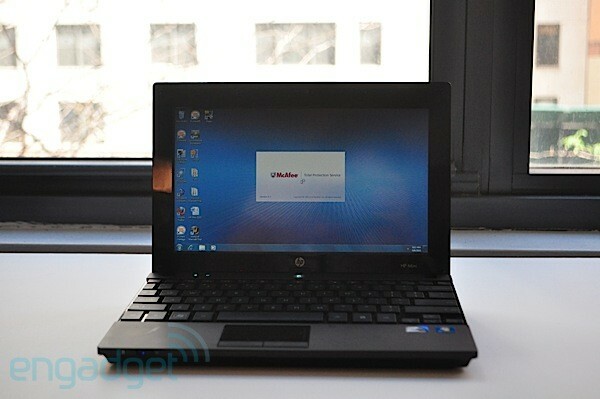 The Mini 5103 HP sent us packs the new 1.5GHz Intel Atom N550 processor, 2GB of RAM, Broadcom's Crystal HD accelerator, and runs Windows 7 Professional. Now we'd like to say we felt the performance improvements over single-core netbooks almost instantaneously, but that's not the case thanks to an abundant amount of software preloaded up on the 5103. In fact, just like the 5102, the whole system was rather sluggish until we went and disabled two of the three McAfee security applications. When all is said and done, the 5103 definitely felt snappy for a netbook. We're not talking Core i3 power here, of course. Our typical netbook routine -- writing this review in Microsoft Word, running Firefox with a handful of tabs open and listening to the new Weepies CD in iTunes -- felt faster than usual. And when we added playback of a 720p video into the mix the CPU usage shot up, but didn't cause anything else to really slow down. Don't get us wrong, the 5103 still feels like a netbook, but toggling between windows and opening programs felt snappier than our Atom N450-packing Toshiba Mini NB305, though not as fast as the dual-core Atom D525-powered Eee PC 1215N or the AMD Athlon II Neo K325-powered Dell Inspiron M101z. The anecdotal performance and multitasking prowess is slightly better, as are the benchmark results. Just as we heard, there's about a 20 percent improvement -- most other single-core Atom N450 netbooks score around 1,200 on PCMark05, while the Mini 5103 notched a 1,866. That's a nice increase, but it's not quite as fast as AMD's single- and dual-core Nile "netbook" or ultra-thin platform. The Dell Inspiron M101z hits double the Mini 5103's score on PCMark Vantage as does the Neo K125-powered Acer Aspire One 521. In addition, the desktop grade, dual-core 1.8GHz Atom D525 processor inside the Eee PC 1215N also provides about double the speed and, as we said before, the 12.1-inch Eee PC certainly feels faster in everyday use to us. Intel's still relying on its GMA 3150 graphics so there isn't much of a change on the graphics front, though we've been told the processor alone should handle 720p content without a problem now as well as full screen flash video. The dual-core CPU also speeds up video encoding. Converting a 27MB .mov file to .mp4 took two minutes and 56 seconds on the Mini 5103, while it took 3:24 on the single core Toshiba Mini NB305. That's an improvement, but not as fast as the Eee PC 1215N's 2:03. Same goes for gaming -- it can handle World of Warcraft at 13 frames per second, but the new CPU doesn't change Atom's terrible gaming reputation. It's hard to say if the dual-core CPU makes much of a difference in the world of HD video playback since our Mini 5103 came with Broadcom's Crystal HD. We can tell you the Broadcom chip took care of playing local 720p and 1080p video in Windows Media Player. When it came to Flash video, a 720p YouTube video played very smoothly even at full screen, but upping it to 1080p caused some stuttering and even some of video and audio to fall out of sync. Conversely, the AMD-powered Inspiron M101z and Ion-packing Eee PC 1201N have no issues playing back 1080p streaming content. By the way, the 5103 still doesn't have an HDMI port. Intel promised that the extra core wouldn't impact battery life and the 5103's battery life is still impressive for a netbook. On our video rundown test, which loops the same standard definition video at 65 percent brightness with WiFi on, the 66Wh battery lasted for six hours and 16 minutes. That's decent for a netbook, but not as long as the 5102's eight hours. However, it's important to note that the Broadcom chip and the higher-resolution 1366 x 768 display on the 5103 could be affecting the endurance. The plus six hours of battery life is much better than the runtime we've seen on AMD's Nile systems, but very in line with the ASUS Eee PC 1215N. We called this a performance review because we wanted to focus on the real changes between the 5102 and the 5103. There's obviously more to the netbook than speeds and feeds and if you're interested in what we think of the make, the chassis, keyboard and touchpad make sure to read out full review of the 5102. The CliffsNotes version? 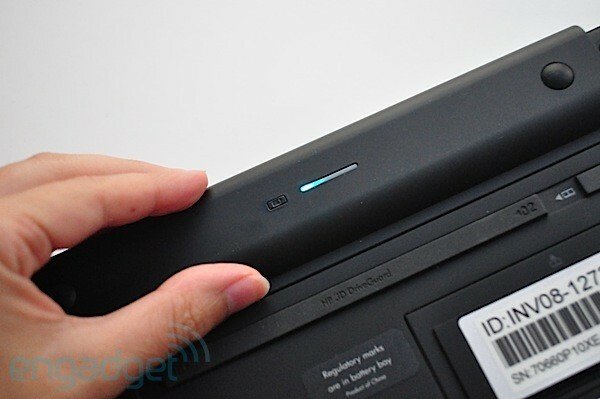 It's one of the most solidly built netbooks out there and we love the keyboard and touchpad combo. Also, two thumbs up on the high-resolution matte display, but the touchscreen option is probably useless to most. This turned into more of a Atom N550 review than a review of the 5103, but our question from the start really was: does the new dual-core processor make a real difference in performance and is it worth the upgrade? At this point it's hard for us to say if it's worth the extra cash since HP hasn't released definitive pricing on the upgrade or on the new 5103 yet. 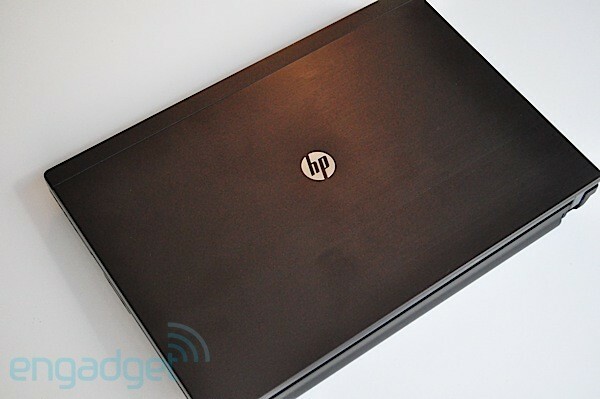 (When HP does release that pertinent info we will update this review.) We're assuming the 5103 HP sent us actually costs north of $600 since it has a higher resolution display, touchscreen, Windows 7 Pro, and Broadcom chip, but we're guessing that it will cost about $50 to $75 to add the N550 processor to the base $399 model. If you're lusting after a professional-looking 10.1-inch netbook we'd say it's worth selecting the dual-core option for the slight bump in processing power -- it means being able to run programs with less lag and watch Flash content at full screen, which we assume is pretty important to the suits out there using this on business trips and such. If full HD video is important to you we'd also suggest springing for the Broadcom Crystal HD option. However, even if its build quality isn't as solid as the HP Mini 5103, we still prefer the $499 Eee PC 1215N with its desktop class Atom D525 CPU and NVIDIA Ion platform in terms of pure power. Of all the netbooks out there -- including those powered by AMD's new Nile -- it really has the best blend of performance, graphics and endurance.